Best Wordpress Hosting : Managed Wordpress Hosting in UK - WebHostUK Ltd.
Best UK Worpdress Web hosting on fast SSD Cloud Servers. Our ready-to-go Wordpress hosting gets you started with your wordpress website, in less than a minute. FREE Unlimited Wordpress themes, templates and plugins. WordPress is one of the most widely used free and opensource blogging application tool. Commonly know as CMS or Content Management System application, WordPress is probably the most comprehensive, and "search engine or SEO friendly" blog application that allows you to manage your website with a breeze. 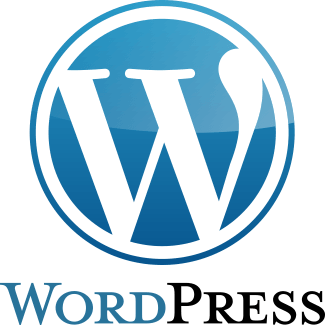 WordPress blog can be used to setup a small business or large, corporate Wordpress websites or simple personal blogger website without any licensing fees involved. No HTML or website development skills are required to run a WordPress hosting site. Once installed, Wordpress administration panel, offers a varied choice of unlimited wordpress themes or templates and plugins allowing you to design your websites to look like professional websites. WebhostUK offers the best wordpress hosting with web hosting plans that come with ready-to-go wordpress websites, to get you started with your wordpress blog website in less than a minute. Our wordpress hosting is ideal for blog hosting, or creating a wordpress powered website which can be configured in just a few minutes, with the help of unlimited free wordpress templates or wordpress themes to design a high end business website or portal. The reason why Webhost.UK.Net wordpress Web hosting is one of the best in UK as we offer the most secured and fast cloud servers with regular updates to latest wordpress versions securing against hacking, malwares or DDoS attacks. Your wordpress website performance is boosted by our Fastest SSD cloud Servers with superfast LiteSpeed WebServer + HTTP/2 and some good optimation with php-FPM and OpCache to give you the best optimal performance wordpress hosting. Our Best wordpress hosting plans come with FREE backup, FREE wordpress website migration and FREE SSL which makes sure your data is safe. So be it your personal Blogging or highly optimized with heavy traffic Wordpress website, WebhostUK wordpress servers deliver speed, performance and security with our managed Wordpress hosting plans. To takecare of your any other wordpress queries we offer 24x7 technical assistance from our expert wordpress support staff. We offer cheap wordpress hosting on fast SSD Cloud servers, powered with superfast LiteSpeed web servers and HTTP/2, and PHP-FPM & OpCache super fast caching. Secure your website with free 256-bit SSL Certificate powered with Let'sEncrypt SSL, which can be instantly installed on your wordpress website with just one click. WebHostUK offers 99.9% uptime with FREE DDoS protection for our cheap wordpress hosting servers which helps us prevent any kind of downtime from incoming DDoS attacks.